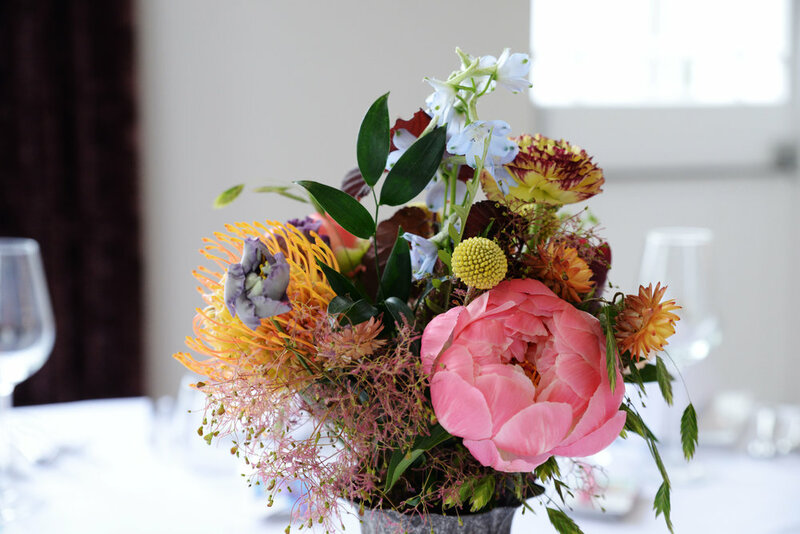 Poppy and Erick married this May in Belair House, Dulwich, London. 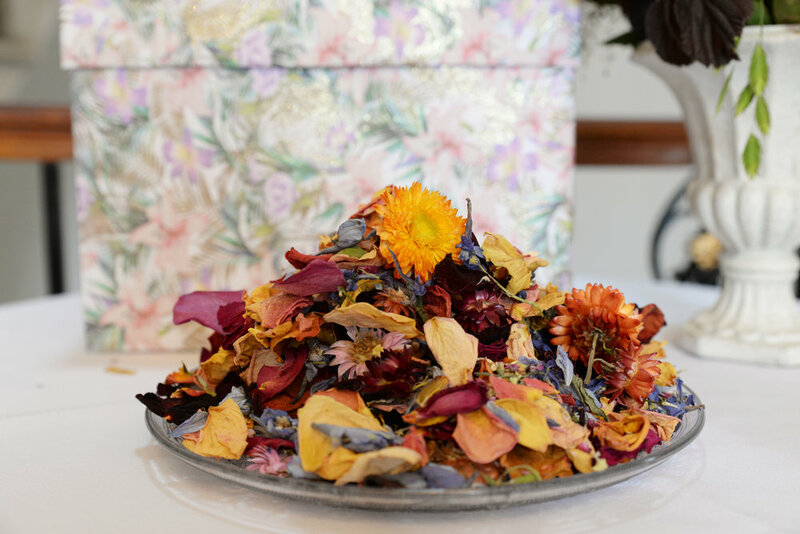 The couple had a Mexican theme. 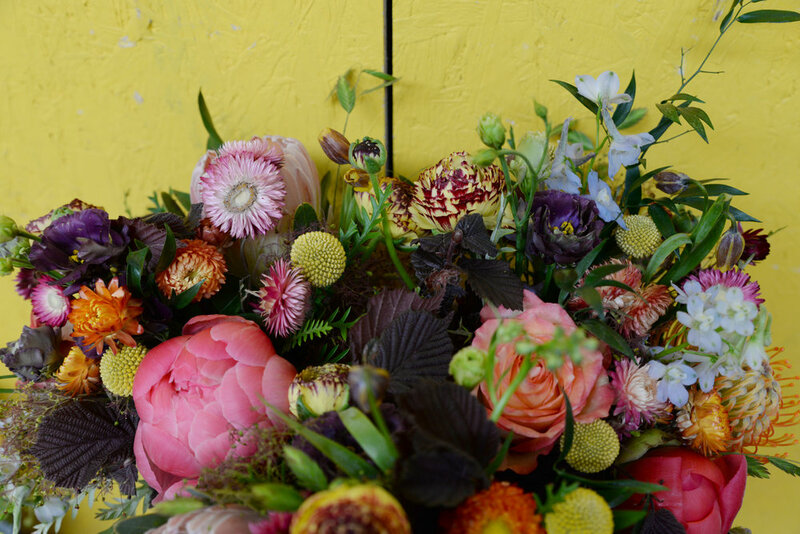 They decided on bright colours for their flowers with lots of textures and strong oval shapes. 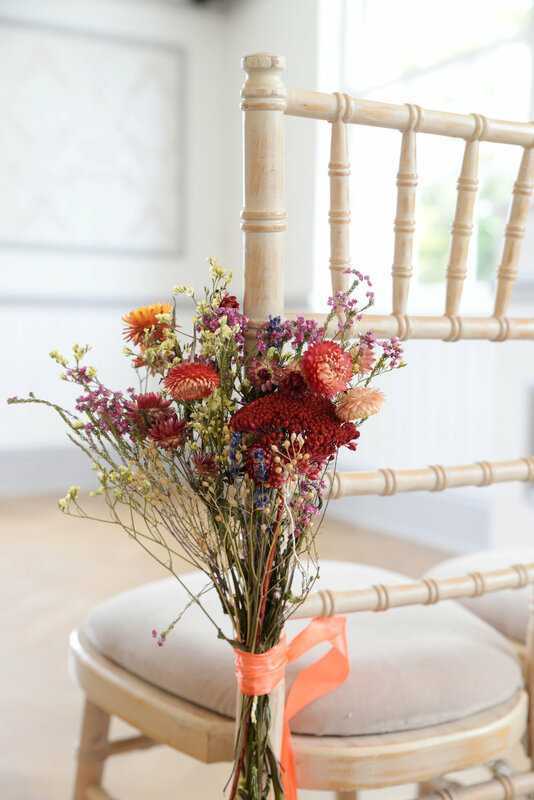 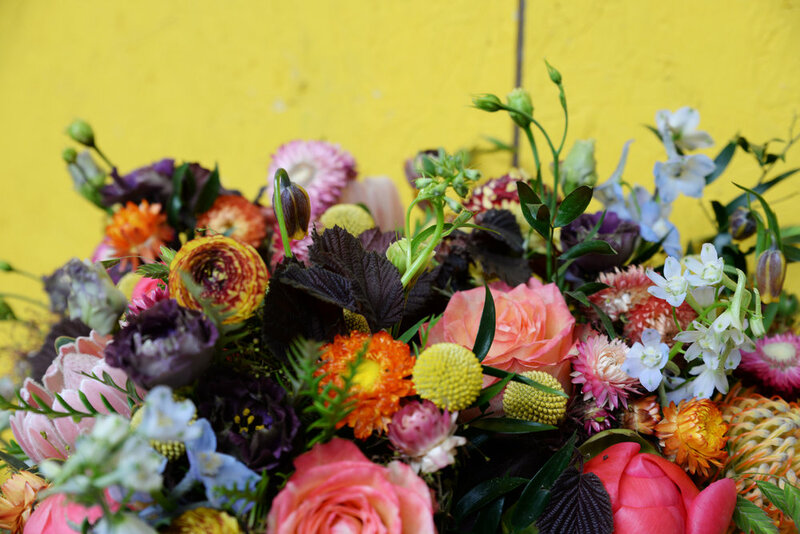 Using seasonal british blooms combined with some slightly more unusual flowers we created really bold table arrangements, capturing the colour and heat of Mexico. 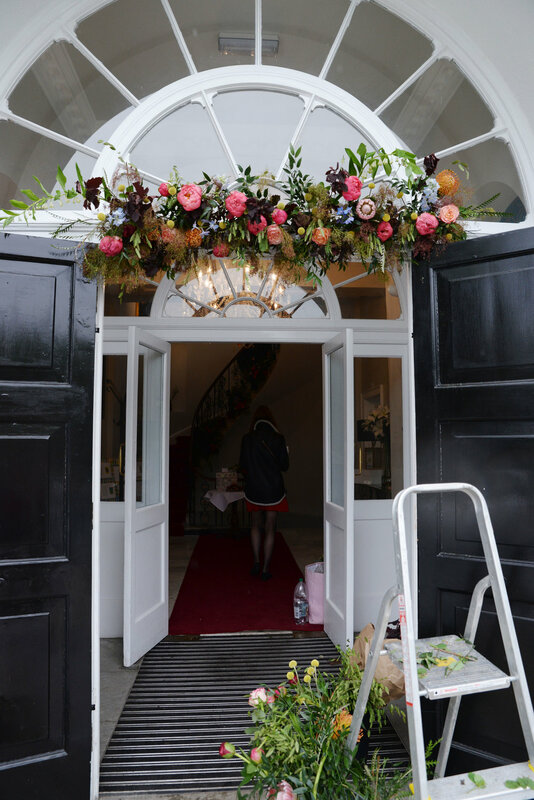 As you entered the venue, installed was a bright garland with lots of coal peonies and proteas. 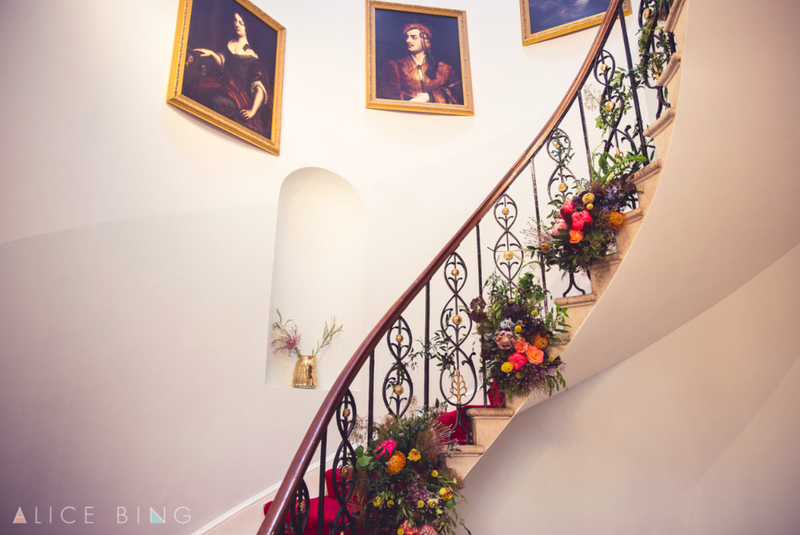 This guided you up to the venue stairs, that were decorated with clusters of flowers with greenery in-between giving them a more natural feel. 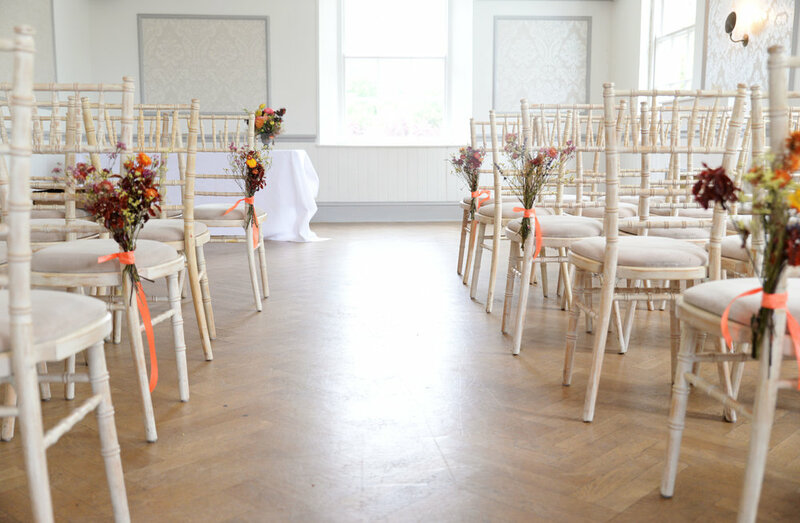 In the ceremony room, simple dried simple pew ends were tied with bright ribbon, this worked really well with the white paper picado decorations.These were my favourite feature of the wedding!